Ten minutes away from my apartment you can buy the best burek in Vienna. That's at least what the Austrian daily Der Standard claims, and they may be right, because it's really, really good! However, as I can't always walk over there to buy one I decided to try it myself and make two kinds of vegetarian burek (or pita): one with potato filling, the other one with soy "ground meat" filling. And it was totally worth the try! Both kinds turned out really good! Not exactly as good, as the greasy, supertasty burek at Thaliastraße, but almost that delicious. Here comes the recipe! For the potato filling chop one of the onions and grate the potatoes. Heat up some oil in a pan and brown the onions and the potatoes. 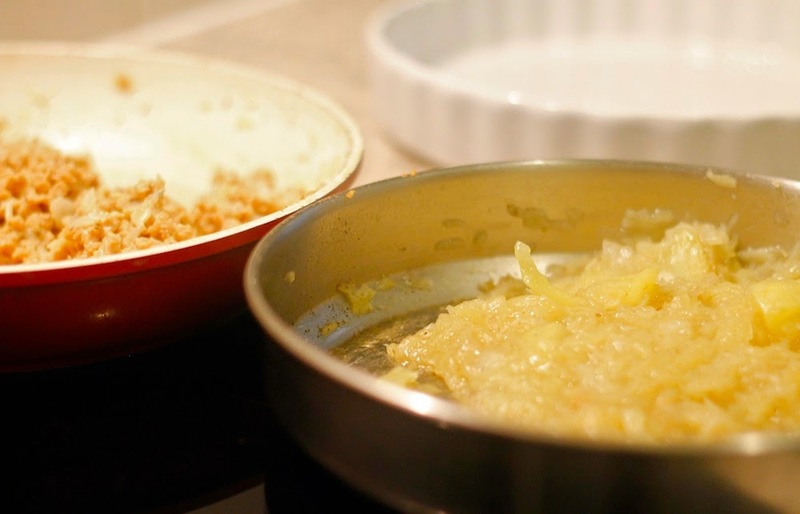 Add half a glass of water and steam the potato-onion-mixture for about ten minutes. Stir occasionally. For the "meat" filling soak the soy for about 10 minutes in hot vegetable stock. Chop the other onion and brown it together with the soy meat for a few minutes. Add the egg and the sour cream and stir well. If you want to go completely animal product-free you can leave out the egg and exchange the sour cream with soy yoghurt. 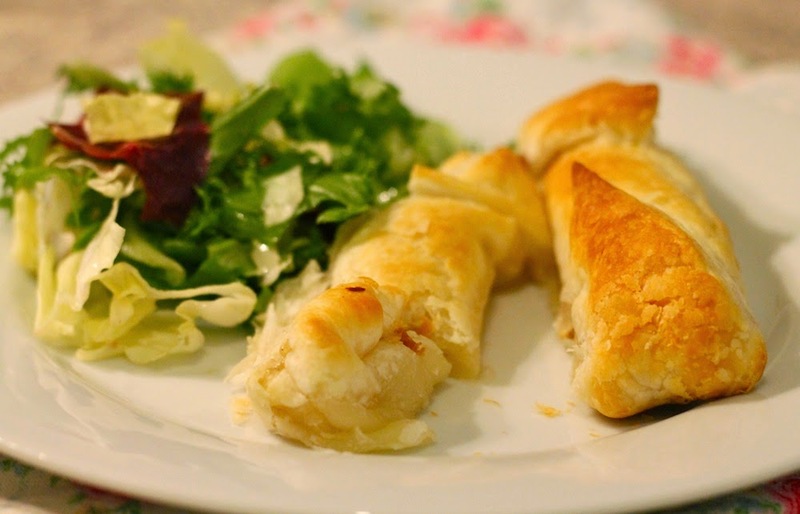 Cut the puff pastry into triangles. 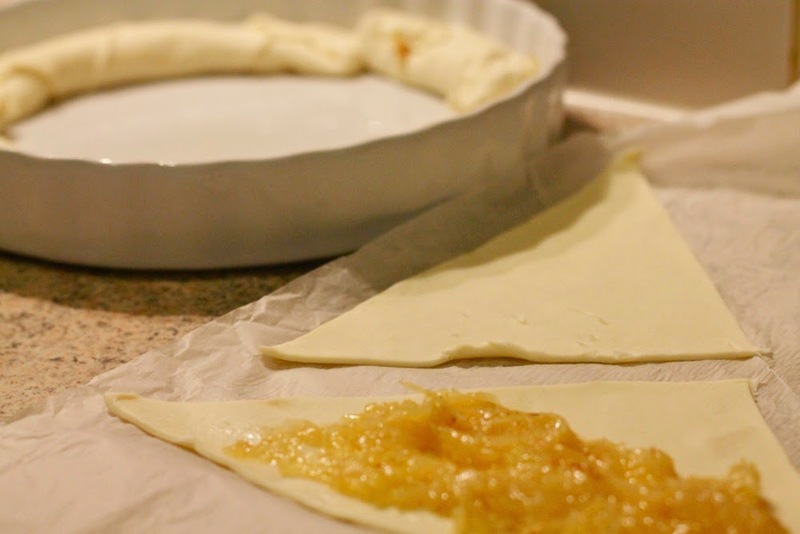 Put the filling on the triangle's broad side and roll it up. 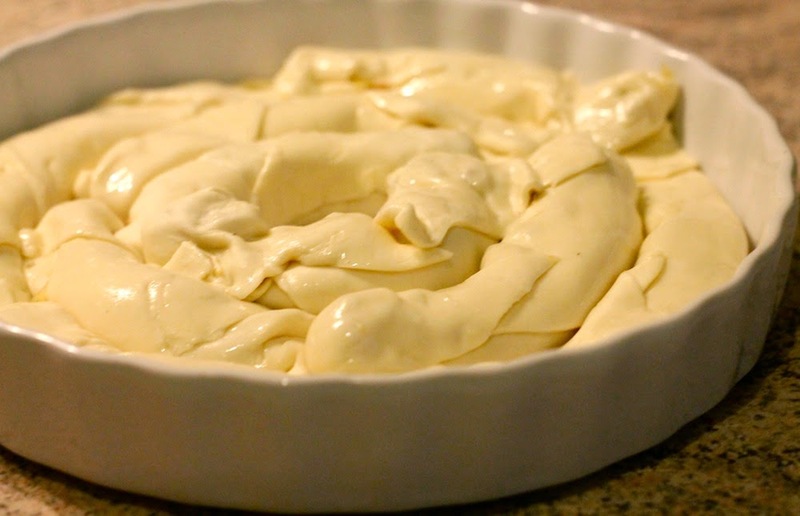 Then put the burek in a greased baking or quiche dish. Coat the rolls with olive oil and bake them for about 30 minutes at 200°C. 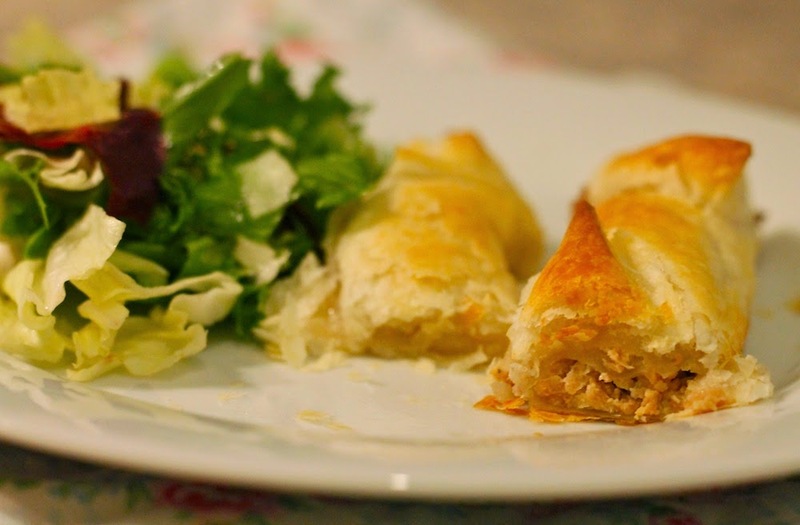 Serve the burek with green salad and enjoy! PS: You might also like the recipes for corn fritters with oven roasted tomatoes, vegetarian spring rolls and king oyster mushrooms with polenta. Oh Börek finde ich ja richtig lecker!